An exciting new category has just been added to this USAF news site. 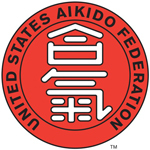 “USAF Member Aikido Related Goods and Services” will display a short comment from our members about aikido items or related services that they provide, along with a link for further information. This added benefit to our members will help promote their business, inviting the readers of this newsletter to visit their websites or contact them by email Our first listing regarding Yamada Sensei’s new DVD has just been posted. Today, the USAF wired the Aikikai Fundation a donation of $3,717.15. This fund represents the donations we received from our members and friends over the past few weeks. Your generous donations will be forwarded by the Aikikai to the Japan Red Cross to help the with the recovery efforts following their terrible disaster. The USAF thanks all who made this contribution possible . With Yamada Sensei and Konigsberg Sensei instructing throughout the last weekend of April, yudansha from around the country traveled to the Midwest Aikido Center’s annual Yudansha Seminar. The dojo, the hospitality, and the amazing pot-luck party all contributed to the outstanding reputation of this annual event. The Aikikai Hombu Dojo will be collecting donations to support the disaster relief efforts in Japan through the month of May. The USAF will send the donations we have received from friends and members to Hombu Dojo on Tuesday, May 24th. Your contribution towards this effort can be made online through Monday, May 23rd. Thank you. The Atlanta Seminar with Yamada Sensei was a huge success. Not only did we all have a great time training, we raised $1,200 in donations for the Japanese earthquake/tsunami disaster. The Aikido Center of Atlanta and Peachtree Aikikai both donated a small portion of proceeds and the participants donated the rest. Our donations are being sent to Americares which is a mid-sized relief agency which is on the ground providing emergency medical and living supplies. Thanks to all who participated and donated! It’s an expression I heard applied to the helicopters that had dropping out of the sky in Iraq. They are full of committed individuals, warriors and healers, dying in their crashes. The Pentagon claims that the helicopters are part of an “aging fleet”, and career soldiers on the ground jokingly state that the machines “have been in the Marine’s longer than I have!” Both sources say the crashes are because of ‘aging iron’. This is also a term that is used in the Japanese sword arts. 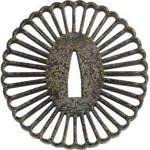 Often it refers to tsuba, the sword guards, of the highest quality. Tekko is a word for it in Japanese… and it means “aging iron”. 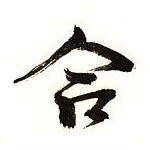 And it is expanded into the term “tekkotsu” which means “iron bones”. The steel of a tsuba does not need to hammered and folded as much as the blade so it’s iron composition is less uniform. Over time the softer metal wears away and reveals the harder components locked within… the aging iron reveals its iron bones. As my years have accumulated I’ve developed a broader appreciation for different things. I don’t remove the flowers from the kamiza as quickly as I might have at one time. I watch the blooms a bit longer and wonder who will remember their scent. My taste in chocolate has developed a clear preference for bitter-sweet… it seems fuller, more honest, more real, more alive. And I have gradually become more appreciative of aging iron. Over the last couple of years my right shoulder began aching. The sensation brought back memories of my father and a difficulty he had with arthritis in his shoulder. It seems so strikingly consistent with other facts in my life… sometimes bits and pieces of his face look back at me from my mirror. I am startled to see that it seems I have his feet and his skin. In the past year the ache in my shoulder has gotten much worse and it might wake me out of a sound sleep. For now in my practice I have gotten relief by taking less falls preferring more pins. The falls aren’t hurting it; to the contrary they have no effect. But when I take a pin I can ask my partner to really stretch me out… hopefully wearing away the swollen softer parts that are clogging my joints and give more life to my aging iron bones. And the clogging is not just in my joints… in my veins as well. What I also inherit from my father is a family history of arterial disease. I have exercised vigorously all my life, not thinking ever about this legacy. But several years ago I was stopped dead… no stopped almost dead… by a heart attack. I actually had two, one I had unwittingly moved through at some point in the past… but it left a record of dead tissue. However, the second more serious event verified a blockage in a coronary artery… very specific and very atypical. Fortunately my years of exercise had expanded the capillary network on my heart leading to a positive compensatory ability. Controlled meditative breathing while this attack was in progress probably stopped the escalation of the trauma. Modern medical science is amazing… so I didn’t die in my fifties like my grandfather, and uncles before me. I had surgery and stents and realized that the tiredness I was experiencing while training was less age and more constriction of blood flow. Within weeks, I was training again, with a new appreciation of Ki and its effects. I manage to continue into my sixties. But still… my shoulder hurts and my practice becomes more mindful. And when I stay at the edge of the mat on the edge of my breath as I get winded from jostling with younger partners I find myself thinking more about “aging iron”… and I wonder… one day will I simply fall out of the sky? The USAF Summer Camp Raffle Committee is currently accepting donations for its annual raffle to benefit the the USAF Scholarship Fund. 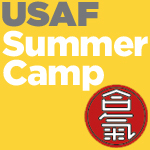 The USAF Summer Camp Scholarship Fund assists aikidoka with scholarships to attend camp who otherwise might be able to afford to attend. Please help with this worthwhile effort by your donation of a service, coupon or item. Previous donations have included artwork, jewelry, weapons, foot creme, wine, lobsters, free seminar attendance, massage services, books and DVD’s. For more information, see the letter posted in the current USAF newsletter or send an email to smdansby2@gmail.com. Jane Ozeki, 7th dan, shidoin, visited to Iowa City (University of Iowa Aikikai) 26-27 March 2011. The Ozeki Sensei seminar was the first of two that celebrate the 40th anniversary of the University of Iowa Aikikai, and this was Ozeki Sensei’s 6th visit to our dojo. The second seminar of our 40th anniversary celebration will be held with Harvey Konigsberg Shihan October 1-2 2011. Each season many of you wait with bated breath to read the USAF Newsletter – to comb through the interesting articles, to find friends in the photo section, and perhaps to even find that a picture of you attending a seminar has made it into the publication. You read Sensei’s message, often more than once, and see if any new subjects have been added. As editor I am aware of this because so many of you have shared your fond feelings for this newsletter with me through the years. Now, with unanimous support from the Board of Directors and the Technical Committee, I am excited to introduce you to the arrival of our new format, and therefore welcome you to the launching of the USAF Newsletter and Announcements blog! Through the years, the USAF Newsletter has been a tri-annual online publication. This has been read by USAF members and Aikidoka from around the world. However, there are many limitations in the long-standing format. With the inefficient means of communication that it presented, I have struggled with transmitting frequent news to our members. This new site resolves every problem encountered along the way. I will explain how we can now be in touch more frequently and with greater ease. As you can see, this format contains the same categories as our previous newsletter, and we can easily add new ones whenever needed. This “blog” will feed news directly onto the home page of our website, www.usaikifed.com, creating a system of continuous contact in more than one location. By subscribing to the RSS Feed at the top of the home page, you will be notified every time a change or addition is made to this site, thereby being alerted to the latest USAF content at all times. An RSS Feed is anonymous – we will not have a list of our subscribers so it is very important that you add yourself in order to fully benefit. This site will be used to upload articles, seminar photos and announcements almost immediately upon receipt of the information, creating a continuous stream for publishing our members’ contributions year round. And, equally as important, it is easy to navigate and there is no longer a deadline that you must meet in order to get your submissions into the newsletter. The process of archiving all of the new material is simple and easy to find. Because the older editions of the newsletter document our history and are a vital resource explaining who we are and how we’ve grown, the link at the top of this home page provides permanent access to all previous editions for your perusal. As you can see, I’ve launched this new site with only 3 posts. I have several others on the way, and will upload them shortly. This format allows 3 posts in each of the categories – USAF Latest News, USAF Official Business, and Articles and Seminar Photos – to show on the home page at one time. When a new item is uploaded, it takes the first spot in the section, and the last one is then housed in the proper “Category” on the right hand side of the page. In addition, there will be monthly headings so you can find what was posted during any particular month. While we embrace tradition in our practice, in our dojo, and in our ceremonies, change is often difficult. I hope you come to embrace this new, state-of-the-art resource as a positive change that will help our community stay close and stay connected, regardless of the miles that often separate us. I look forward to being in touch more often, and don’t forget to subscribe.